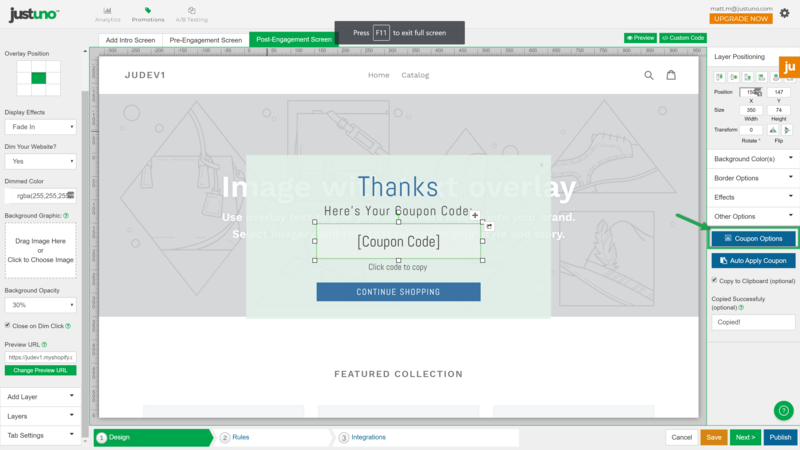 This article covers the setup process for the automatic fetching of coupon codes for the Shopify web platform. 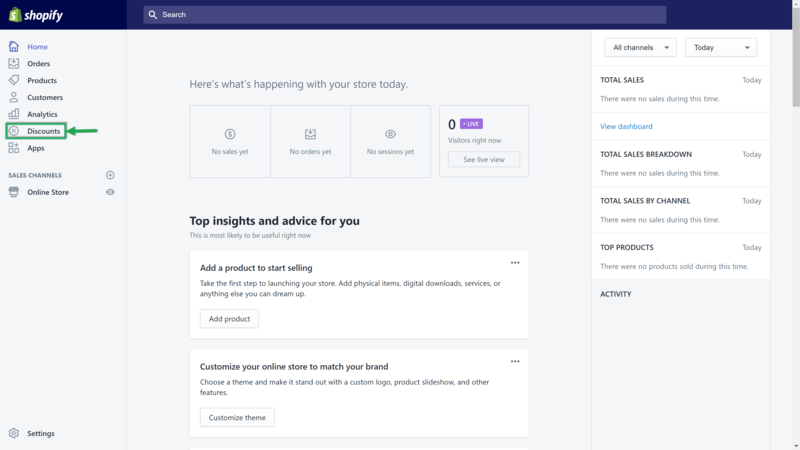 The general overview of how this fetching process functions is as follows: a single use discount code created within Shopify is linked to one or more Justuno promotions using the coupon fetch configuration tool (displayed in the article content below). 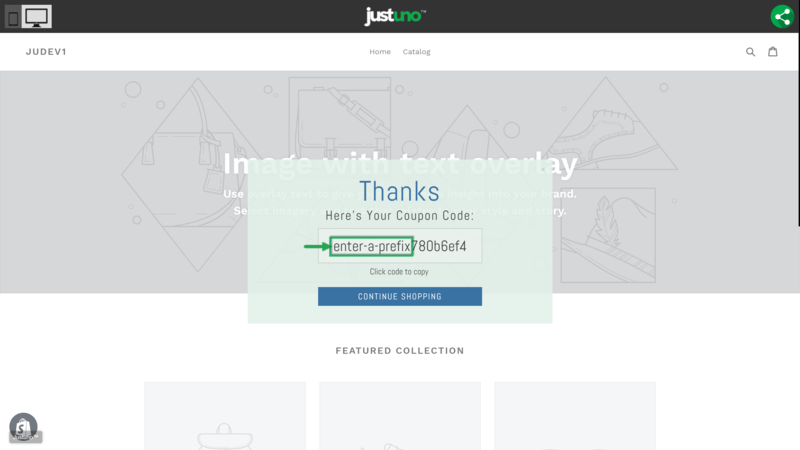 Justuno then uses this discount code to dynamically generate new discount codes that populate the list of available 'unique discount codes' associated with that initial discount code. 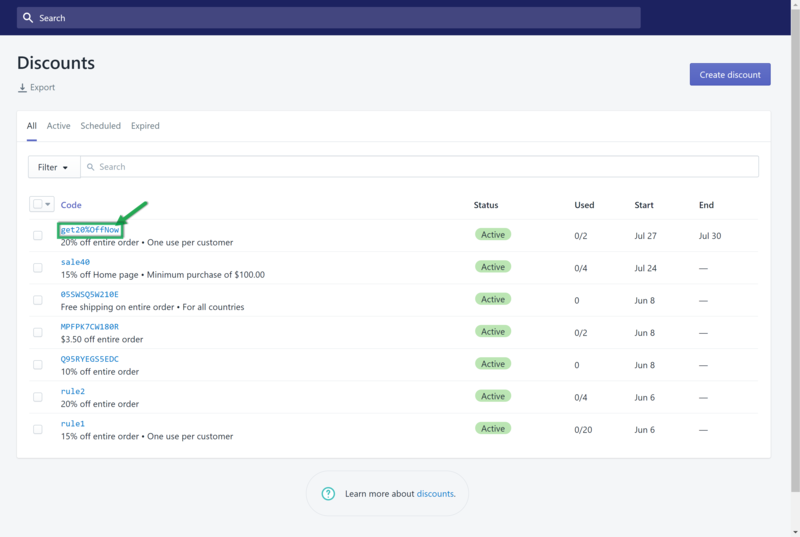 Tables can't be imported directly. Please insert an image of your table which can be found here. 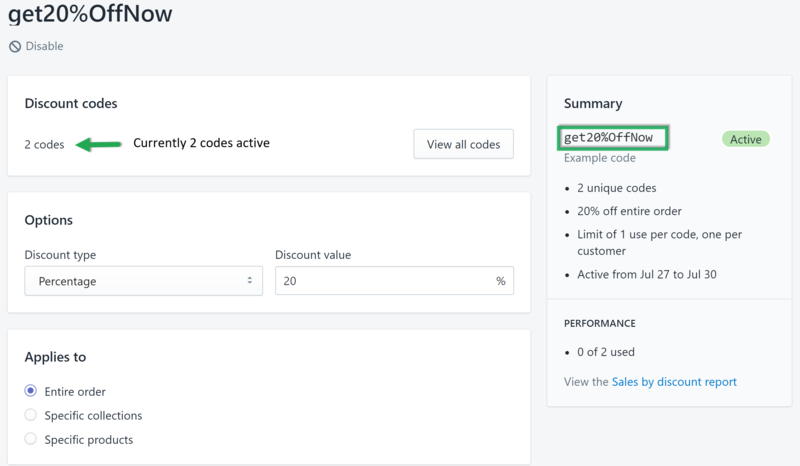 Step 2: Setup a new discount or retrieve an existing discount code from within your Shopify account settings. 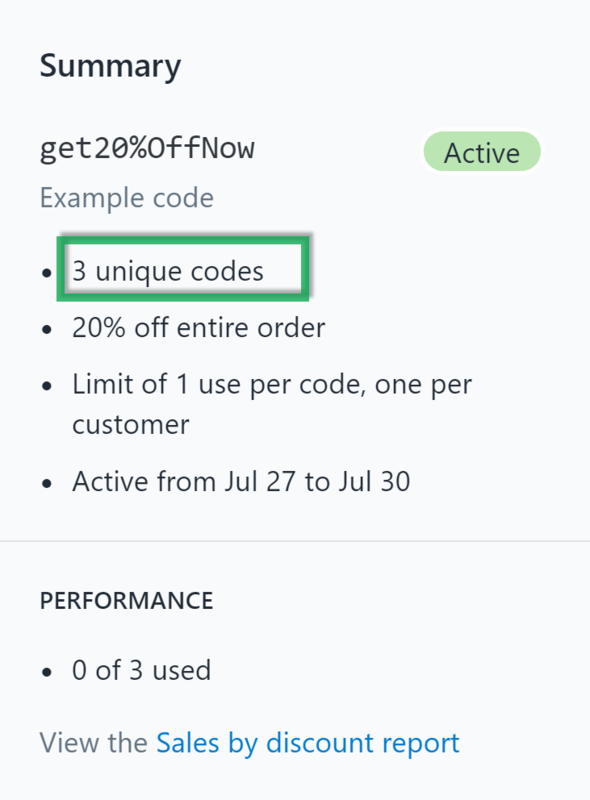 NOTE: the number of unique codes is increased by 1 discount code upon Justuno running the coupon fetch function.